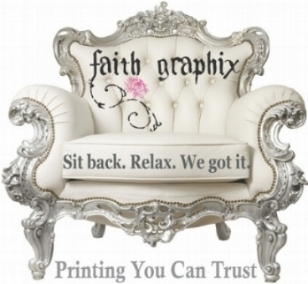 Requests for cancellations must be made in writing via email info@faithgraphix.com . If we receive your cancellation prior to us starting your proof, you will only be charged the initial $25 fee. Should you choose to cancel a project after the proof has been made, you are liable for all labor and material expenses incurred up until the cancellation was received or all charges if the project has been completed.